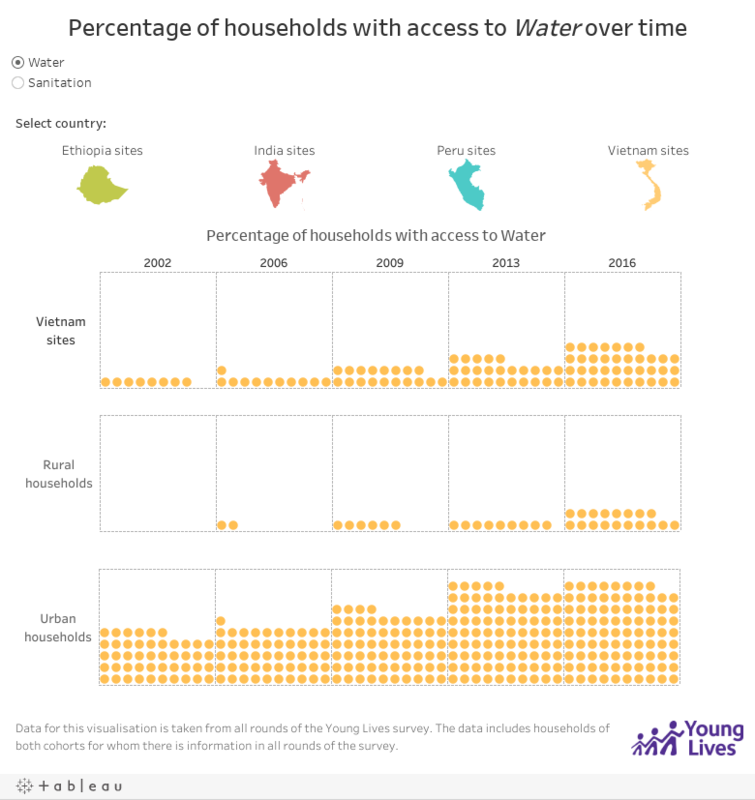 The waffle chart shows the percentages of rural and urban households that have access to water or sanitation in the selected country or year. While it was made sure that definitions of access to safe drinking water and access of safely managed sanitation are similar across rounds and are consistent with nationally defined standards within the countries, they may not becomparable across the four study countries. For more information on how we define `safe drinking water’ and `safely managed sanitation service’ for each of the countries, please find our data dictionary here. 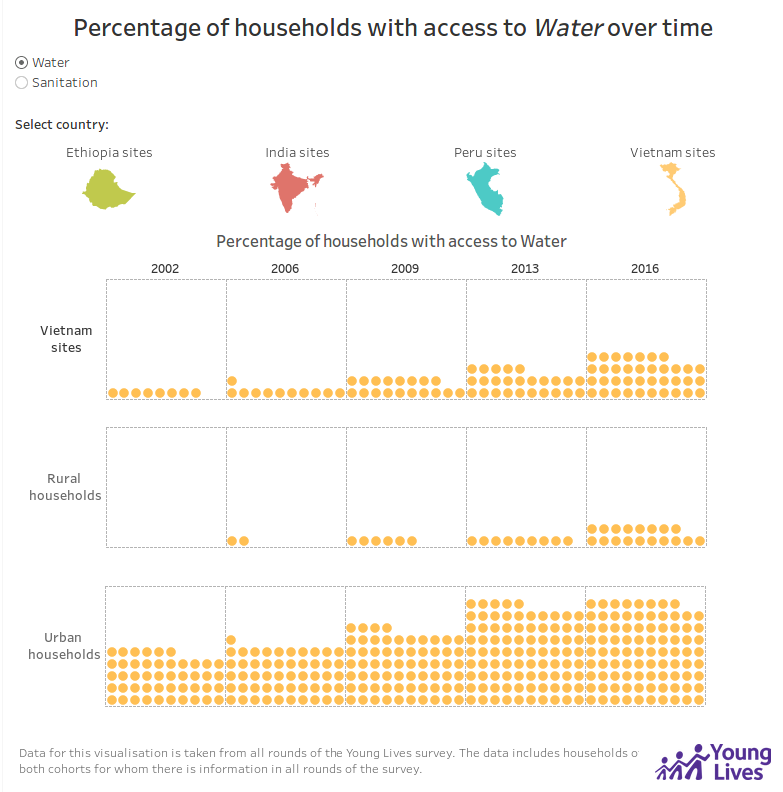 Access to water is defined based on households' reports of their main source of drinking water. Households are defined as having access to sanitation based on the type of toilet facility that they report using in each round of the survey. Access to sanitation can be improved or unimproved, depending on country. In each survey round, the communities that households were located in were defined as urban or rural based on administrative definitions in each country. Refers to the study countries in the Young Lives survey. The sites surveyed are non-representative of the population of the country.